We have the best cafe on the coast that sells prepared foods, fresh pastries and baguettes. I love going in there and getting a baguette and a tub of Chicken Curry Salad, but lately they have been sold out or no longer carrying it! So I decided to replicate their recipe, I think mine is better, haha! 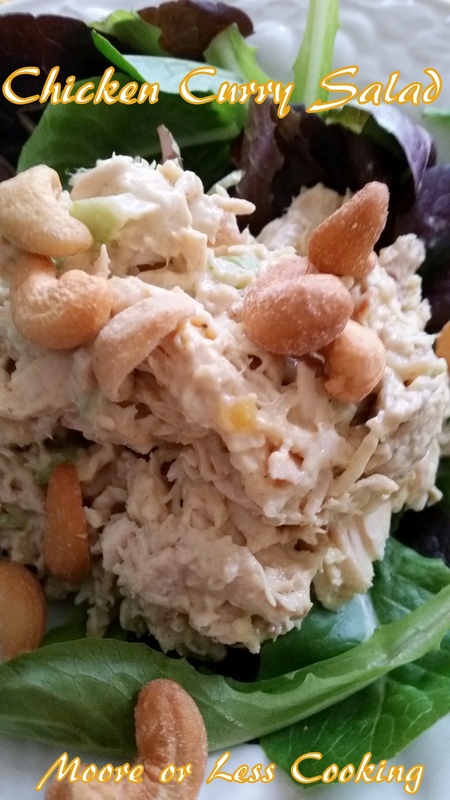 I used a rotisserie chicken which makes this Chicken Curry Salad such an easy recipe. 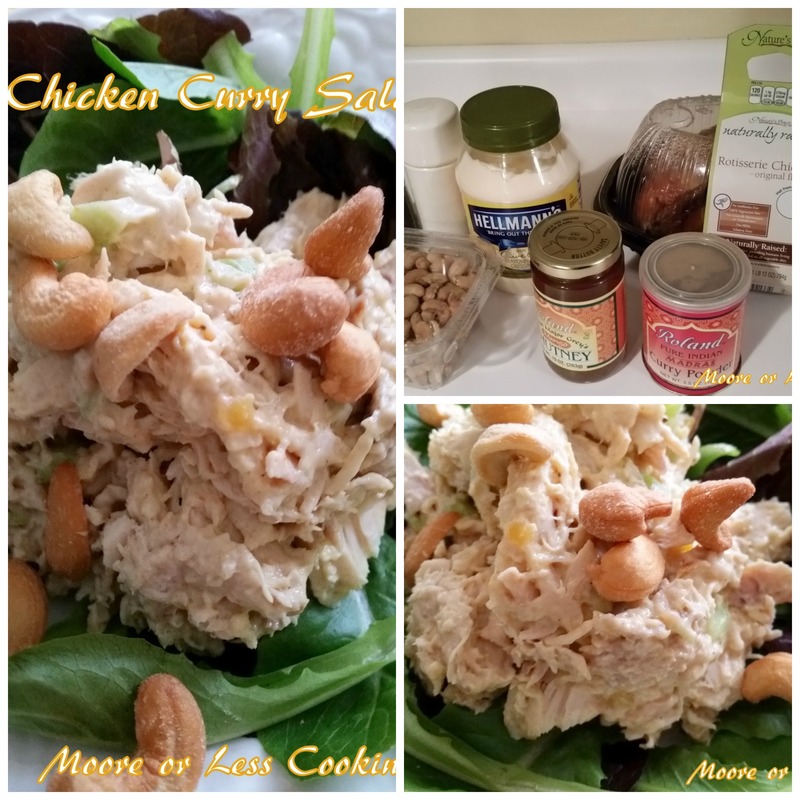 I also sprinkled lightly salted cashews over the chicken salad and placed a big scoop over mixed greens. It’s almost low carb, except for the mango chutney, but that just added a small amount. 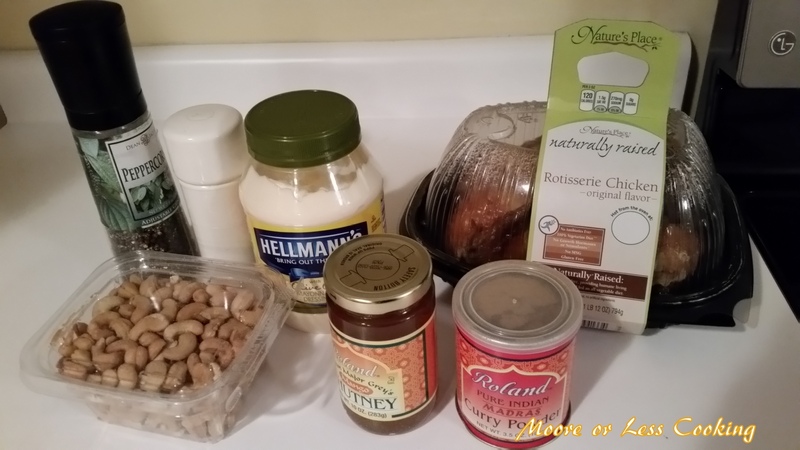 Here’s what you will need for this recipe: 1 Rotisserie Chicken, mayonnaise, mango chutney, curry powder, salt, pepper, cashews, mixed greens. 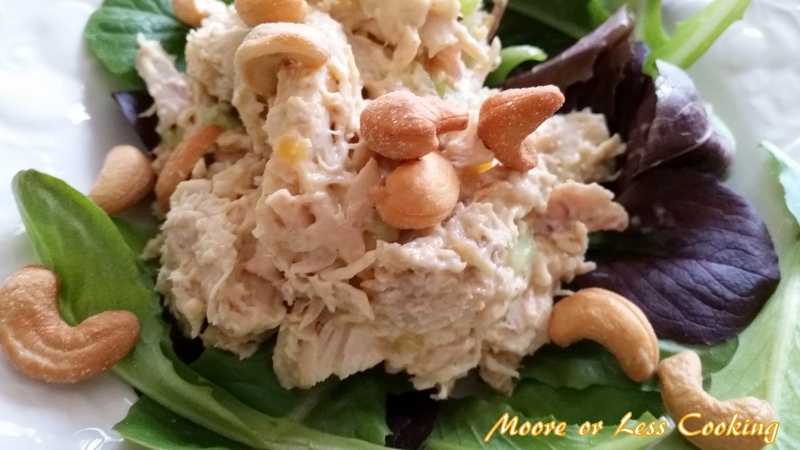 The flavors of this chicken salad is so wonderful! Easy and delicious chicken salad using curry spices and mango chutney, served over mixed greens salad and cashews sprinkled over make a complete meal. In a large bowl, combine the mayonnaise, chutney, curry, ½ teaspoon salt, and ¼ teaspoon pepper. Toss the dressing with the chicken and serve over the greens. Sprinkle Cashews over salad.